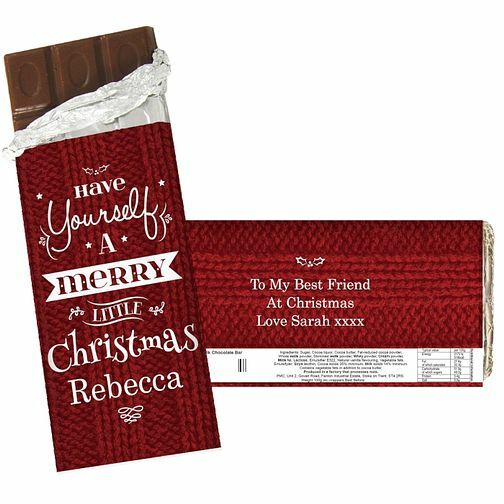 Enjoy a personalised sweet treat with this Christmas themed chocolate bar. Celebrating the holiday season, this sweet treat can be enjoyed on those cold winter evenings. Given as a gift or brought as a little treat for yourself, have a very merry little Christmas!